For additional details, please refer to the Template resources page on our website. 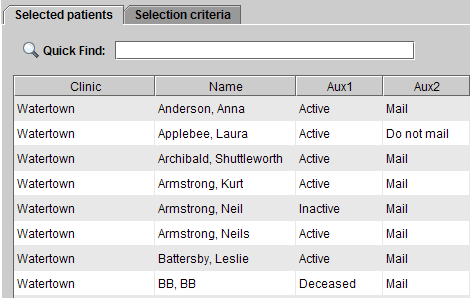 When using a marketing Primary filter which includes all patients (even those marked inactive/deceased/Do not mail), the patient status and “Do not mail” setting is now shown in the Selected patients list. Note: Inactive/Deceased patients and those marked “Do not mail” will not be included in the printed output. 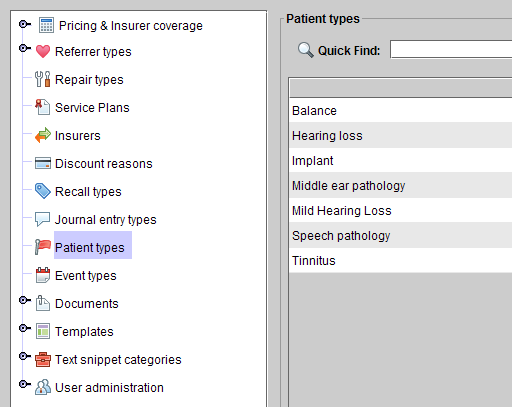 Patient types can now be configured via the Setup function in Blueprint OMS.